Hiccup Horrendous Haddock III was just a nerdy little Viking, not big or hairy or scary at all. In fact, however terrifying he tried to look, he often just ended up looking quite – well – cute! He wasn’t loud enough to make himself heard at his father’s dinner table. He wasn’t tough enough to beat his rival Snotlout at games. He certainly wasn’t stupid enough to go into a cave full of dragons to find a pet! So how did Hiccup meet his tiny sidekick Toothless the Dragon, and become a mighty hero after all? Vikings, dragons, magic and laughs: the perfect mix! 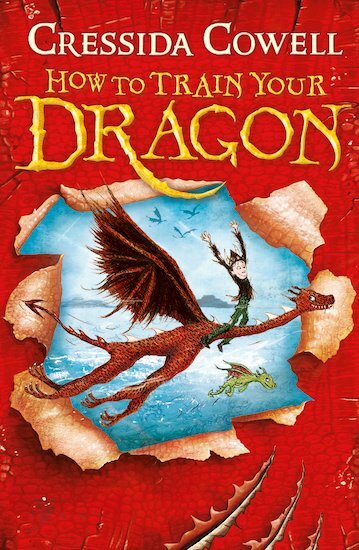 Thirty copies of this classic children’s book to accompany Read & Respond: How to Train Your Dragon.